From a young age, Wyomia Tyus wanted to defy expectations. In 1968 at the Summer Games in Mexico City, Tyus became the first sprinter, male or female, in Olympic history to repeat as 100 meter champion. On and off the track, the United States Olympic Hall of Fame member and three-time gold medalist has done nothing but break the standards that were placed on her by society. Well beyond race and gender, Tyus just was looking to prove she should be included.As a 6-year-old on Christmas, her parents wanted to give her brother a cowboy outfit, and for her, a cowgirl costume. That didn’t sit right with Tyus. Growing up in the Jim Crow South, being discriminated against because of both her race and gender was something she couldn’t escape. Even at a young age. Being aware of how she fit in society at this young age helped shape her outlook on how people should be treated. Tyus never let other people dictate what she couldn’t do. It never mattered who she was up against, she just wanted good competition. When she was growing up, her dad worked hard every day in the fields, but refused to let her help. What he wanted most for her was to be a smart, educated woman who could understand the issues that plagued society. Tyus worked hard to make a name for herself as she grew older like her father believed she could, both on the track and in the classroom. So when her father died in 1960, Tyus took it hard. For the first time, the male role model in her life was gone. However during that summer, she was invited to attend a track summer clinic at Tennessee State University. It was here where she met legendary track coach, Ed Temple, for the first time. He would become one of the most influential people in her life, both on and off the track. 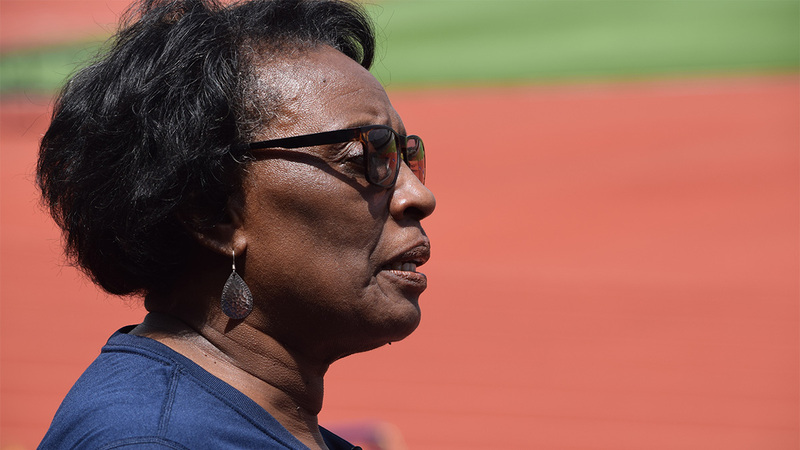 Temple coached the Tennessee State Tigerbelles track team from 1953-1994 and is credited as being one of the most prolific track coaches ever. He won 34 national titles and sent 40 of his women athletes to the Olympics, where an impressive 23 won medals and 13 won gold. However, his main vision for his team was in the classroom. During a time in the 1950s and ‘60s where a very small percentage of black women attended college, everyone on his team not only received athletic scholarships to compete, but everyone graduated. Tyus, who went on to be one of the many women sent to the Olympics, became the first 100-meter sprinter to win back-to-back gold medals, including another gold in the 4×100 meter relay. While she had always felt comfortable being a competitor, Temple had brought out the activist in Tyus. Prior to the 1968 Olympics, she had heard about the Olympic Human Rights Project, a group that advocated for equal rights and treatment for all people, and their plans to boycott the games and intended to show her support for the cause. 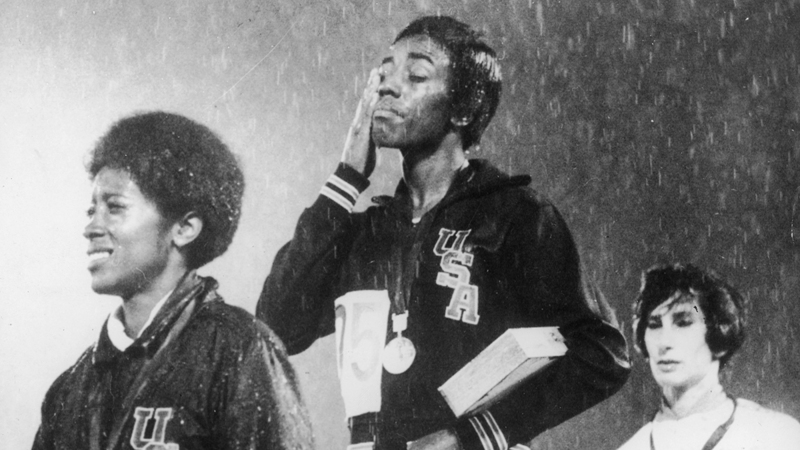 Therefore, when Tyus watched fellow Americans John Carlos and Tommie Smith walk up to the award podium with no shoes on, thrust their fists during the national anthem covered in black gloves, she knew she had to show her support. Later that day, after she was awarded a gold medal in the 4×100 meter relay, she dedicated the award to Smith and Carlos in support of equality for all racial and ethnic groups. So on the 50th anniversary of the 1968 Mexico City Games where she took a stand on social rights issues in solidarity with Carlos and Smith, she remembers speaking most speaking up for everyone. African-Americans and women, Mexican students affected by the riots and the many other groups that are being oppressed.